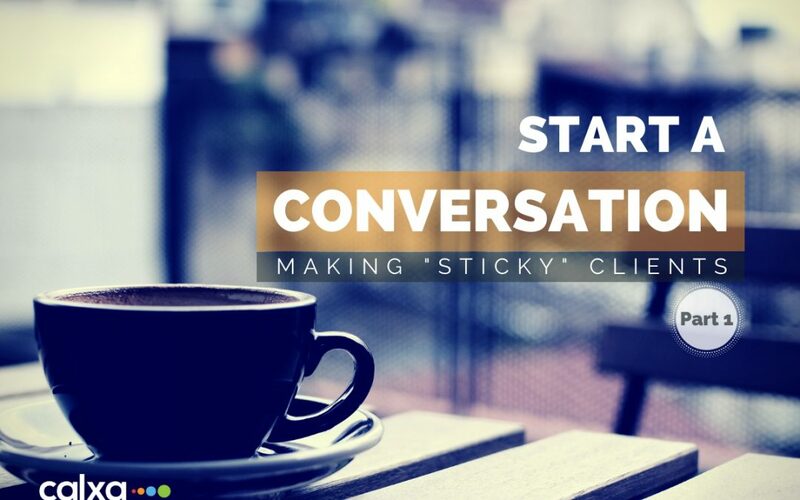 In Part 1 and Part 2 of this series, we discussed Awakening Your Client’s Interest and then The Sticky Effect. Now it’s time to delve deeper into that stickiness and look at how you, as a bookkeeper or accountant, can make yourself truly indispensable to your clients. The answer is to provide them with the key numbers that drive their business. What Makes a Number Important? It should provide guidance on what to change in a business. You need to be able to improve it. It needs to be something within your control. The business owner (and their team) should be able to understand them. Sometimes that might require an explanation (for example, not everyone immediately understands what the lifetime value of a customer is, or a working capital ratio). You will need to be able to easily identify and capture the data that you want to measure. Sometimes you need to implement systems to make something measurable, or to count something you hadn’t previously counted (number of customer complaints, for example). Good numbers should be delivered regularly and monthly works well for many business numbers. There can be times when weekly is appropriate (or necessary) but often that doesn’t give you a big enough sample of data and you end up with wild fluctuations in your numbers. Start with monthly and be sure to deliver the numbers promptly after the end of the month. It may be the case that three weeks later they’ve possibly changed again. Different numbers are important for different businesses and that’s where a good bookkeeper or accountant can seriously have an impact. Anyone can produce a P & L with a list of outstanding debtors and creditors. What distinguishes the stars from the rest is providing the business owner with the numbers they need to grow the business (or just to survive!). So, how do you find out what numbers are the important ones? The first step is to ask your client. Most of them will have a good idea. In a café or in a retail environment it might be the number of customers or average transaction value; for a bakery it could be the cost of sales percentage; for a dairy farmer it could be revenue per kg of milk solids; for a bookkeeper it could be monthly recurring revenue. If your client isn’t sure what numbers to use, cheat! Ask Google what everyone else in that industry is using. It may not give you the perfect answer right away, but it will give you a range of choices that are likely to make sense. If you do this before seeing a new client, it will give you a good idea of where to start and what questions to ask. How do you know you’ve picked the right KPIs? Can the business do something to influence these numbers? Average daily rainfall might be an important number for a farmer in many ways, but it’s not a KPI. If these numbers improve, will the business improve? There has to be a connection between the KPI and a desired business outcome, whether that is growth, profitability or better cashflow. Is it easy to collect the data? Measurement always has some cost and is often minimal. If you’re implementing new systems, make sure the benefit will outweigh the costs. Sometimes a pilot program of collecting data manually can reveal how important that data is – and then you can make an informed decision on how to automate its collection. Every business is different and each business goes through different cycles. There are periods when cash is tight and reducing average debtor days is the most important KPI. But once that’s down to a reasonable level (however that’s defined), it may be time to move on to other numbers. It’s important to review the numbers you monitor from time to time, to ensure they are still relevant and the most important numbers for the business.